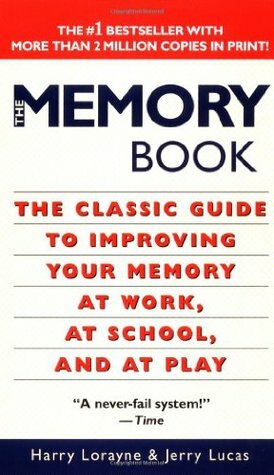 The Memory Book stands apart from other books by its extensive list of examples that demonstrate the vast field of application of memory techniques. You will learn to remember phone numbers, appointments, faces, names, playing cards, speeches, books, foreign vocabulary, sport tactics, obscure technical terms, etc. The book is a recipe book. This is not the kind of book to read like a novel. You should constantly stop to try, learn, and apply the techniques. You will even learn some “magic” memory tricks to amaze your friends. Published in 1974 and revised since, The Memory Book is not the most up-to-date book to reflect current popular techniques. Today, nobody win an international championship using the major system described in the book. Newer techniques such as the PAO System are logically absent but this does not decrease the pertinence of the book. Techniques could differ, principles are still the same. If after reading books like Moonwalking With Eistein, you doubt of the usefulness of memory techniques, you should definitively read this book to reconsider your position. A very practical book, written by a foremost specialist, called “The Yoda of Memory Training” by Time magazine, and aided by a former American Basketball legend.